Layers in Photoshop are literally as important as the invention of sliced bread. To get a better understanding, we’ll first explain what happens in the typical photo editing program. Digital Photographs or Canvases are simply made up of dot’s or pixels Adobe Photoshop does a great job of illustrating this as they display pixels in rows and columns. Back in the day the canvas would be directly edited which made changes more permanent. To work with layers you simply need to open the Layers Palate found in the Windows menu. Adding a new layer is as simple as clicking on the icon that looks like a new page. The layers are listed with the top of the list being the top of the canvas. You can change each layer and mix them as you wish by changing the opacity and the method of combining them, the defaults being 100% and Normal respectively. If you decide you don’t like the edits made to the canvas you can simple delete the layer that you made the edits to. There are various adjustment layers that can be applied to the canvas and easily removed if you decide they don’t help your photographs. 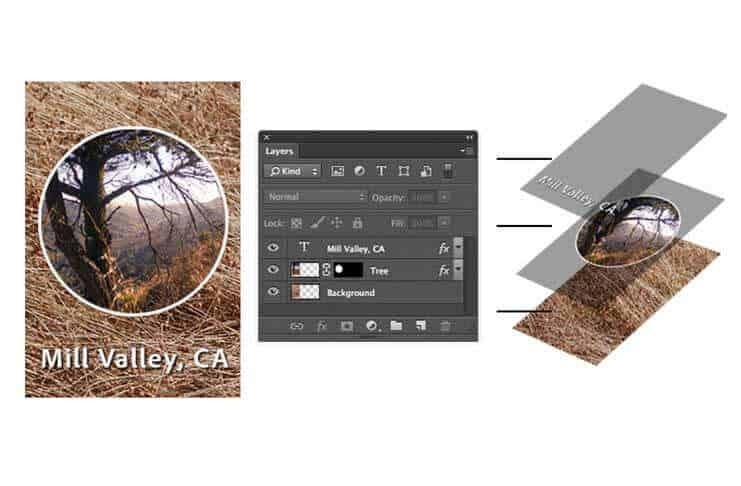 Photoshop layers can be turned on and of by clicking on the eye icon. Photoshop makes it easy to keep track of your layers by adding them to folders and organizing them much like you would with files on your computer. Organizing your layers not only helps you keep track of your layers, but it also makes it easier to toggle them on and off in groups or switch the opacity of the entire group. Folders can and should be named along with each individual layer to make it easier to identify what each layers purpose is. Well explained.. I might add that all enhancements and corrections should be done on a separate layer which can then be edited or discarded if needed without corupting your original file. How do you add an image, or part of an image to a layer? To add a photo to another photo in a separate layer, just open the other file up and drag it using the move tool to the other file. Does this answer your question? Can this be done in Elements? Yep. 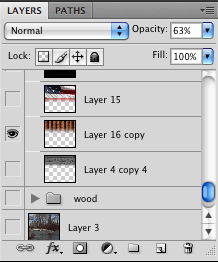 Layers is a key part of Photoshop that they include in all the releases. You may have to go to windows and then click layers in order to show them, but they’re there. I am looking for a program that does layers (for double exposures) and I am also looking for color saturation (choose just one color to stand out in the picture with a click of a button). I was just wondering if Photoshop Elements or Lightroom offer both of these options?? If not, what (cheapest) program would you suggest??? I know Photoshop elements has layers, but haven’t used the lastest version of elements. You can download a free trial for 30 days from Adobe.